Located on the Philopappos Hill, the shrine of the muses is dedicated to the nine muses. According to the Greek mythology, the muses are the 9 daughters of Zeus and are the presiding deities of arts and sciences. There is also another legend associated with this hill. It is considered that Musaeus, a poet and disciple of Orpheus, was buried here. 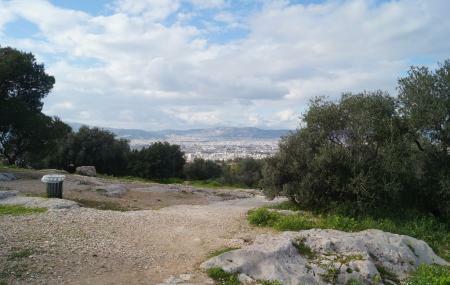 Apart from its legendary importance, this hill also offers spectacular views of the Acropolis. Today this shrine might be in ruins but in the ancient times, it was considered as a sacred land and even today you shall see a lot of artists paying homage here. The walk up Philopappos is a bit of a trek up the small rocky path. The nearest metro station is Akropoli station. How popular is Shrine Of The Muses? People normally club together Arch Of Hadrian and Taf while planning their visit to Shrine Of The Muses.